Wax Removal - Carried out in the comfort of your own home. We can usually see you the same or next day. 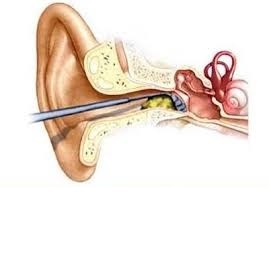 Ear wax is a normal and healthy secretion from glands found in the outer third of the ear canal. It's purpose is to trap dust, skin and any bacteria that may enter the ear. This collection of dead skin, wax and debris is normally ejected from the ear and there is no need for any intervention. However some people simply produce more wax than their body can clear and the excess needs to be removed by a hearing healthcare professional. At transform hearing we use the latest and most advanced methods of wax removal to provide a quick, convenient and painless service in your own home. A pre and post clearing image will be shown to you for your peace of mind.